The City of Brockville is proud of its rich history and has made it possible for you to understand how the years gone by have shaped the present day setting. Take this virtual tour of the plaques that stand on display throughout the City and see how they offer a glimpse into a remarkable past. 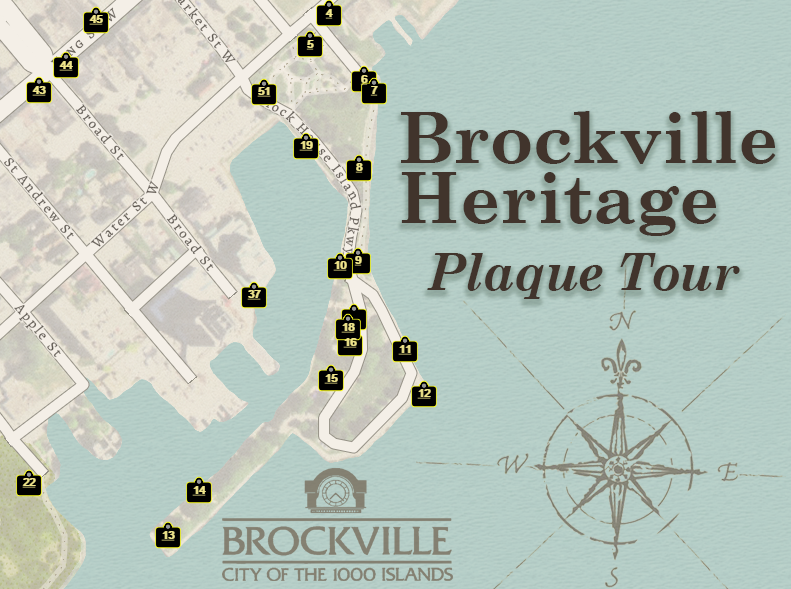 Heritage Brockville has been replacing and updating worn and/or damaged plaques over the past few years and adding new ones. These new plaques feature bold colours and bilingual text.